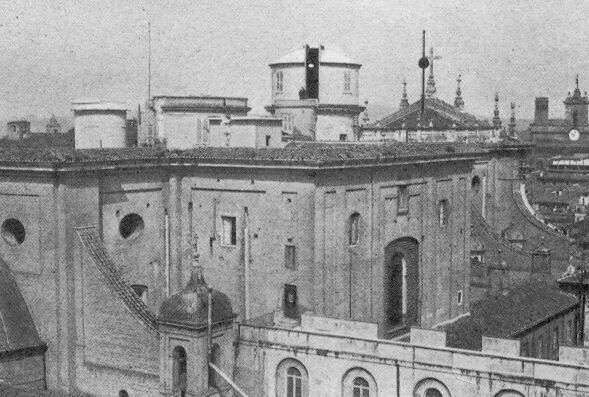 Father Secchi and Brother Ferrari observed from a rooftop of St. Ignatius Church, Rome with a 9.5" Merz refractor. 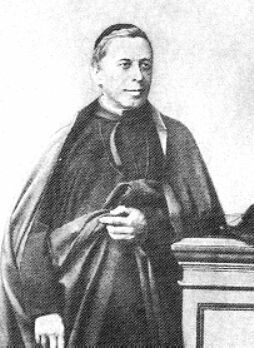 During a fruitless search for Biela's comet from Nov. 11, 1865 to Jan. 18. 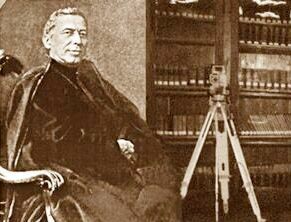 1866 Brother Ferrari discovered 14 nebulae. 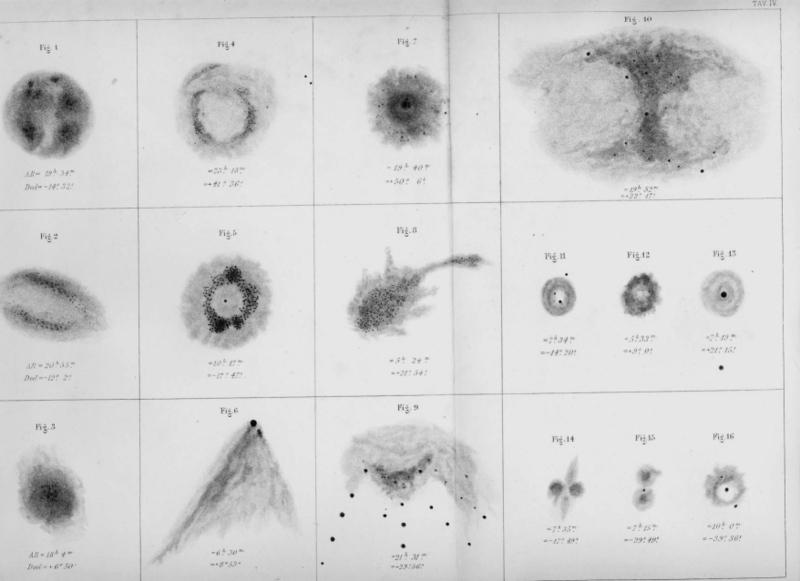 Secchi (or Ferrari) also determined better positions for two nebulae, NGC 157 and NGC 7648, found earlier by William Herschel. 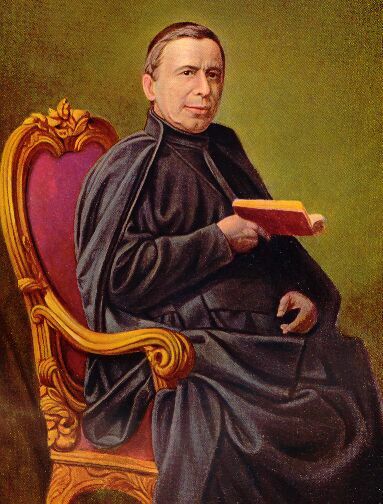 The observations were published by Father Secchi in AN #1571 (1866). 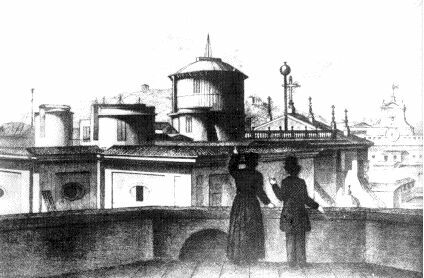 About the instrument Secchi states there: "From this study, we have convinced ourselves that the refractor at our observatory is at least as keen and powerful as the Herschels' telescopes ..." and they "fitted [to the telescope] a large eyepiece which gives a 27 arcmin field." Dreyer included the 14 objects (see Ferrari) in the NGC, noting (incorrectly) Secchi as discoverer. Secchi himself found the double galaxy NGC 3226/27 in Leo; see: Secchi, A., Entdeckung eines neuen Nebelflecks, AN  36, 243 (1853). 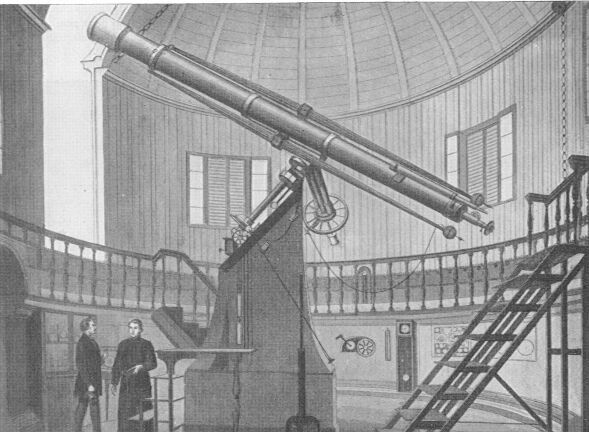 However, the objects had been already discovered by William Herschel (II 28/29).